Scratch Vinyl 7" and 10"
At Quality Electronics we carry your favorite dj equipment brands. 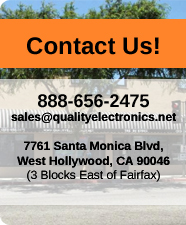 We carry top brands like Pioneer DJ, Rane, Allen & Heath, Vestax, Numark, Technics, Crown, Akai and many more... We are an Authorized Dealer, you get full warranty with all products purchased at Quality Electronics. Give us a call today and make us an offer!